Seasonal flu activity typically begins in October and November and can last into late May, but the worst of it typically occurs sometime between December and January, says Primary Care Physicians. Even though there have not been many cases of flu reported within Florida so far this year, don't assume that this will be a mild flu season. (HOLLYWOOD, Fla.) -- NEWS: Seasonal flu activity typically begins in October and November and can last into late May, but the worst of it typically occurs sometime between December and January, says Primary Care Physicians. Even though there have not been many cases of flu reported within Florida so far this year, don't assume that this will be a mild flu season. Since last year's flu season was long and difficult, it is a good idea to prepare for the 2018 and 2019 flu season early by remembering these tips to help prevent the spread of the flu in your home, school or business. Prevention is the best way to avoid the flu and the best way to prevent it is by getting a flu shot early in flu season so individuals have some immunity before it breaks out and spreads through the community. Everyone older than six months should get a flu shot each year, especially those older than 65 years of age and other vulnerable populations. Getting an annual flu shot is an essential part of a senior health care regimen for anyone over 65. Probably the easiest way to prevent the spread of the flu is by washing hands often with hot water and anti-bacterial soap for at least 20 seconds. But don't forget to dry hands afterwards, because the flu loves damp surfaces. The flu is a hearty virus that can survive on hard surfaces anywhere from 24 to 48-hours, so it is important that they are wiped them down with disinfectant at least once a day, particularly in common areas where many people get together such as conference rooms, break areas, bathrooms, and on objects such as door handles, snack and soda machines, microwaves, light switches, and any other surface that might be touched by more than one person every day. They can be cleaned with products containing soap, hydrogen peroxide, alcohol, and chlorine. Flu enters the body through the soft tissues of the nose, mouth and (most often) the eyes. So, if you have a habit of touching your face, rubbing the eyes or nose, break that habit. This is the easiest way to contract the flu. Because flu spreads through tiny droplets that often land on one's hands, touching eyes, nose or mouth, passes the virus into the body. Prevent the spread flu by keeping hands away from the face. Don't be one of those people who want to prove their dedication to their co-workers by coming to work while sick. This won't be any good for anyone at the workplace. All that happens when someone infected with the flu comes to work or school sick is expose everyone else to the flu. Do not return to work until 24-hours after the fever breaks. For more information, visit https://www.pcphollywood.com/. 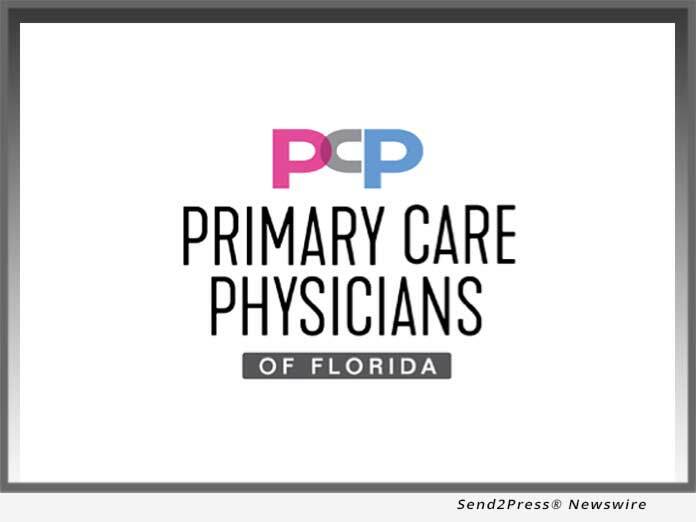 Primary Care Physicians of Florida is a group of healthcare professionals dedicated to providing the best personalized patient care for our customers in the South Florida area. With 13 conveniently located offices and services such a free transportation to medical services, same day doctor appointments, and medicine delivery service just to name a few, our talented staff of internal medicine doctors can provide for any of your medical needs. Whether it is for a routine hearing test, an eye exam for glasses, or comprehensive chronic disease care, Primary Care Physicians of Florida has the services and board-certified internal medicine specialists are here to help.